FIGHTWEEK! UFC 229: Bad Blood — Conor vs. Khabib! As of Monday, bettors could wager on Conor McGregor to win in Round 1 for a +500 payout at William Hill properties. 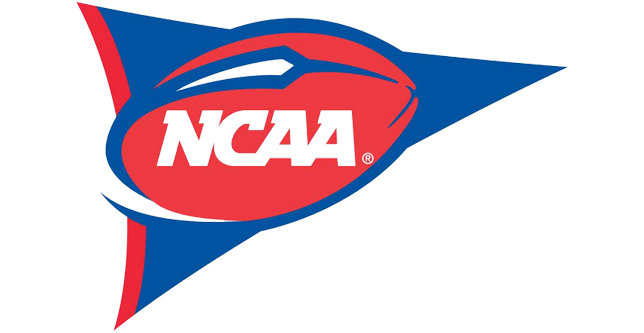 Published on Monday, 10/1//18, at 11:57 a.m. Eastern. This will be our UFC 229 page for this week. 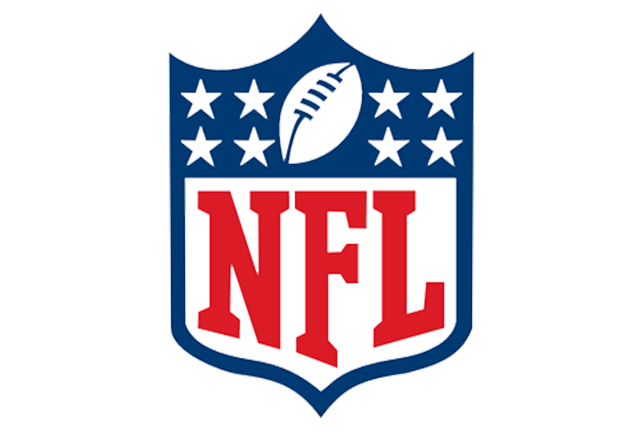 I’ll be adding links, videos, thoughts and picks throughout the week, so check back and refresh the page for the latest. For starters, some bad news on the card, as The Sugar Show will not be on Saturday night. 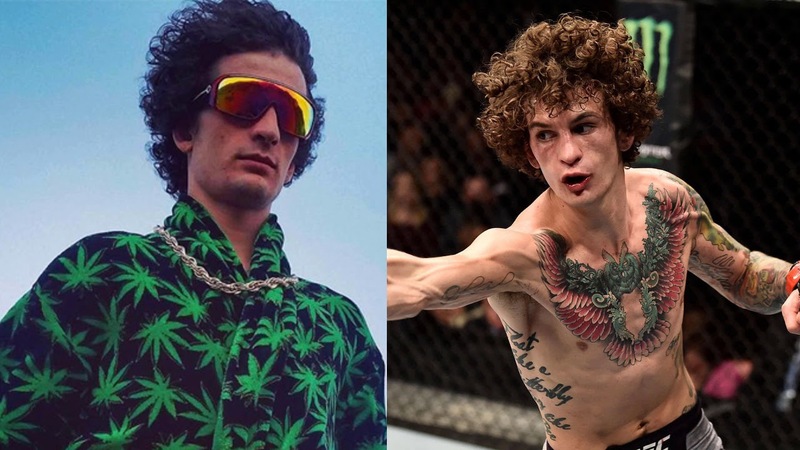 Sean O’Malley was going to take on Jose Alberto Quinonez in the FS1 Prelims headliner, but he announced Sunday on his Instagram account that he won’t be fighting due to a potential USADA violation. The UFC announced last week that it will be using a different approach to USADA violations moving forward. Instead of announcing right away that fighters have been flagged for potential violations, the promotion will let the appeal process play out before releasing all of the findings. ‘Sugar’ Sean O’Malley has been forced off the UFC 229 card’s FS1 Prelims headline slot due to a USADA violation. O’Malley clarified that he wanted to be upfront with his fans and let them know what’s going on. There’s no word yet on if a replacement for O’Malley to fight Quinonez has been found or is being sought out. 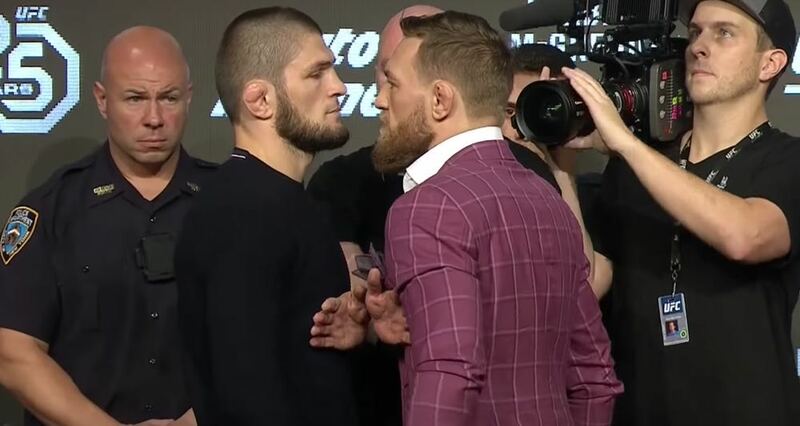 Let’s touch on a few other tidbits before getting to the current odds & a video clip of Khabib doing a 12+-minute interview with ESPN’s Brett Okamoto. Greg Hardy improved to 3-0 in MMA with another KO win inside the first minute this past weekend. Also, Ariel Helwani’s show today on ESPN will feature McGregor as one of his guests. It’s Fight Week, ya’ll. Buckle up! –Looking at multiple books at BestFightOdds.com, I see -155 at Bovada as the cheapest price to back Nurmagomedov. The best underdog odds for McGregor are +150 at 5Dimes. Most books have the total at 2.5 rounds with -130 odds for the ‘under’ and +110 odds for ‘over’ wagers. William Hill is offering two adjusted totals. The first is 1.5 rounds with a -175 price for the ‘over’ and a +125 return for the ‘under.’ W-Hill also has the total at 3.5 rounds (-278 to the ‘under,’ +200 for the ‘over’). –Bettors at William Hill properties can get 5/1 odds for McGregor to win in Round 1. –The UFC 229 Countdown show appropriately dubbed, “Bad Blood,” will appear Tuesday night at 7:00 p.m. Eastern on Fox Sports 1. My DVR is already set.